The PGA Learning Center is one of the largest and advanced golf practice and instruction facilities in the world. 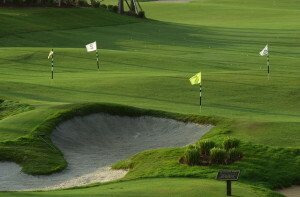 This ultimate golf park has been created by the PGA of America to provide a unique learning and practice experience for golfers of all skill levels. Choose the path that is right for you. Access to the PGA Learning Center includes daily unlimited access to the 35 acres of practice areas including three putting greens, nine different styles of bunkers, short game areas for chipping and pitching, and almost 270 degrees of practice tee! 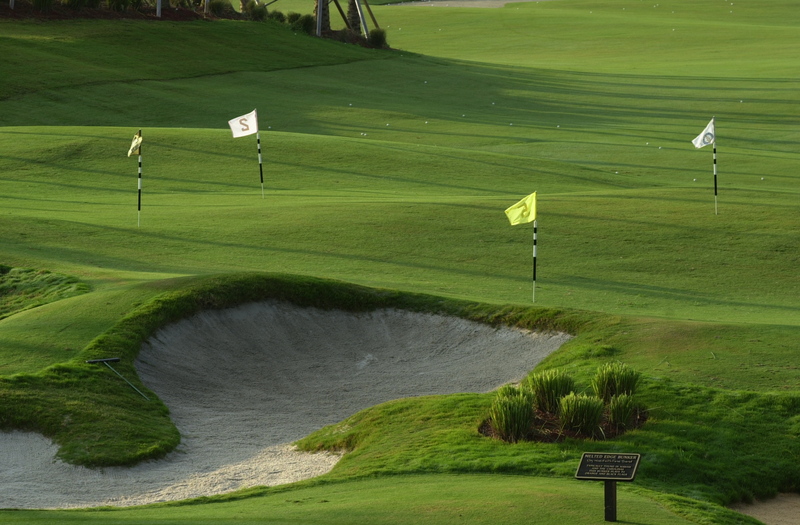 No golf practice facility has undertaken to more carefully recreate a wide variety of potential conditions and scenarios to allow for effective practice on course scenarios found in the game of golf. The PGA Learning Center is a rain or shine facility with indoor, outdoor and outdoor covered facilities to insure consistent availability of practice time. Daily Access starts at $27, and monthly access rates are available. These bunkers consist of a variety of sand. Specifically designed to challenge and improve your golf skills by providing for the creation of real life scenarios and a variety of shot execution possibilities. Special areas specifically designed to tune up your short game and improve your ability to score from close in. On Course training and game management with PGA Professionals or pay one low price to play at your own pace. When practice is not enough, PGA Teaching Professionals are available to assist you achieve your goals. No matter your current skill-level or goals, instruction is the key to improvement. Enjoy the game even more. Golf Schools: The top-notch facility, in association with the PGA of America Golf Schools, uses PGA professionals to guide students in targeted exercises, including physical, technical, equipment, and on course application. Private Instruction: Private instruction is just that. It is private. You and your PGA of America Professional instructor work one to one in a dedicated space far from the distraction of other golfers and onlookers. Golf Clinics: Our golf clinics help those new to the game experience the ultimate enjoyment of golf while learning the fundamentals—the full swing, chipping and putting. Check our Specials Page for the latest schedules. Get Golf Ready! : Five group lessons for $99 take you from the first lesson to the first tee—ready. In just a few short lessons Get Golf Ready teaches you what you need to know to play and enjoy playing golf. Remove the unknowns. Know what to expect and how to act. Your playing partners will thank you for knowing proper etiquette, pace of play and all the little things that make a round of golf enjoyable for everyone.